Whether you have a big family or small, saving money on groceries is important to most people. Especially when you need to cut back on expenses (for whatever reasons). Here are my top 50 tips to save money on groceries when you’re shopping with a budget. Implement one of these savings tips a week and you will definitely save a large amount of money on your groceries! Groceries are the one area where we have the most control as far as spending goes! 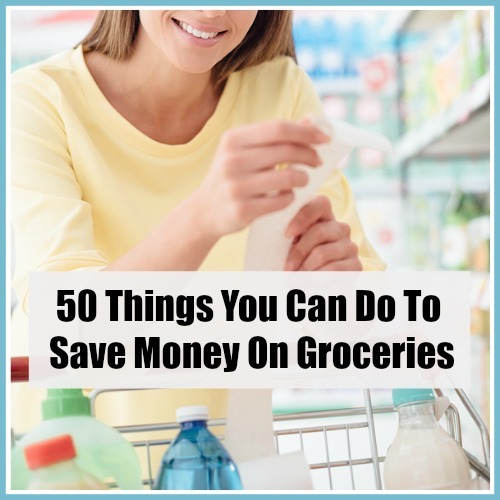 I use many of these tips to save money on our grocery bill and I hope they help you too. You don’t have to compromise on food quality just to lower your grocery bills! 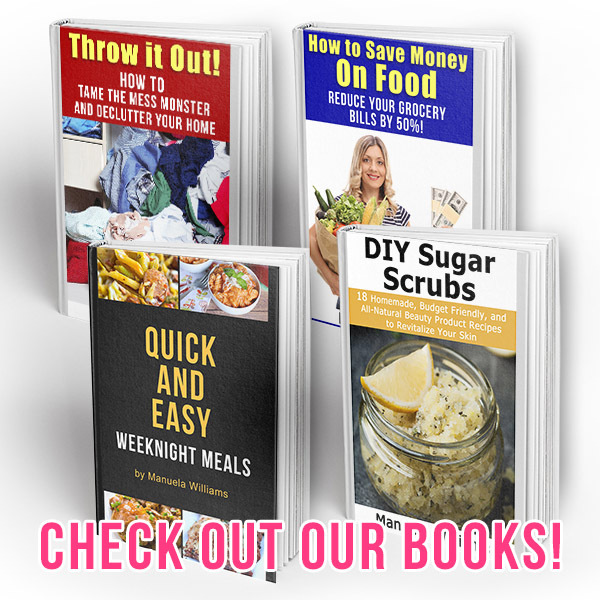 My eBook How to Save Money on Food includes every tip, trick, and hack that I used to cut my family’s grocery bills by 50% (while still buying organic)! 1.Use what you have at home first. It is easy to forget everything you have in the refrigerator and pantry. Use as much as you can, before you go grocery shopping. You will have less waste overall. 2. Stick to what you need. Stick to only buying what you need and you will see the savings add up. Planning meals is a great way to buy what you need. Here’s a free meal planning sheet to help you get started. 4. Shop with a list. If you make a list (and stick to it), you are less likely to buy items that aren’t needed. 5. Make a budget and stick to it. Your grocery budget should be part of your family budget. Making a budget is important. You want to be sure you have enough to cover all of your expenses and it’s the only way to see where you can make cuts. It’s healthier and cheaper to drink water instead of juice, soda and milk. Invest in a filtered water pitcher if you don’t like the taste of your tap water. 7. Check for sale items. Check each week for the different sale items. Stock up when prices are low or plan your meals around what’s on sale. Use your coupons if you need the items. If you use coupons for items you don’t need, you aren’t really saving. Here’s how to get started with couponing. If you want to save money on groceries without using coupons, make a price book. That way you’ll know who has the lowest price on what you buy, what your top price for an item is, and when things are on a good sale. Here’s how to make a price book & lower your grocery bill without couponing. This is a rebate app that gives you money back when you shop. iBotta is one of my favorite apps to use on my phone! It’s not brand specific and also includes meat and fresh produce. You can use it at any store! We routinely save money using this app and here’s how. 11. Stay away from processed food. Using an app on your phone allows you to easily keep track of your shopping list and share it with other family members. Search circular deals and coupons by item, brand, or category to quickly find the best deals on your weekly essentials and make saving money super easy. Flipp matches local circular deals with coupons from the brands to bring you the most savings. Get the Flipp app here for Android and here for iOS. This app keeps track of your list and has thousands of recipes. It makes it easy to plan your menu and buy the items needed. It has a Use Up Leftovers section where you can tell it what’s in your fridge and it’ll tell you what you can make. No food waste equals money in your pocket! Get it here for Android and here for iOS. Stick to your shopping schedule and don’t make any trips in-between. Try to be creative or do without if you run out of something. 14. Have breakfast for dinner once a week. Breakfast is usually an inexpensive meal. You’ll save money on groceries if you swap one dinner where you have breakfast. We love having pancakes for dinner. Eggs are inexpensive too. Try these cheesy egg muffins – so easy to make. The kids will probably love this idea! 15. Sometimes shop without the kids if you can. Kids put a lot of stress on their parents to buy extra items that are marketed toward kids. Also, you may feel like you have to rush and not get a chance to check out sales. On the other hand, at times, taking the kids with you is good, this way they can learn how to shop with a list and budget. 16. Shop around for the best deals. Shop around through the sales ads or online to find the best deals. You don’t always have to go to the same store. Buy in bulk for things you use a lot as long as you are able to store and use it in a timely manner. You will save on the cost per unit by purchasing a larger amount. 19. Buy foods when they’re in season. 20. Shop at your local farmers market. The farmers market is a great place to get fresh grown fruits and vegetables. 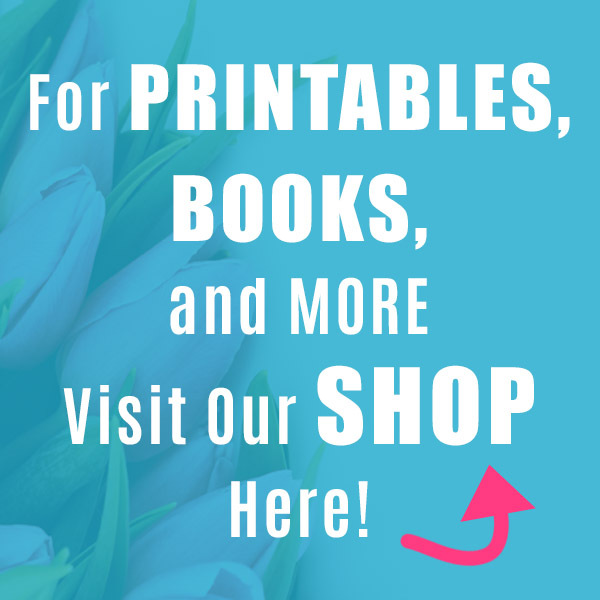 They have lots of other items for your home and family too. 21. Share the cost of buying big with your friends or family. You can take advantage of bulk prices by sharing the items with friends and family if you don’t have storage space. Everyone splits the costs. So everyone saves, but you don’t have to find places to store you bulk purchases. 22. Buy at the Dollar Store. The dollar store is a great place to find many different food options. Check out how to grocery shop at the Dollar Tree for some great money saving tips. Plant a garden for freshly grown produce. You know there are no preservatives and you can grow what your family likes. Buying generic is a great way to save money. Many times, the generic product is just as good as the name brand. 25. Shop online for groceries. Shopping online can save you money. Websites like Amazon have ways to save on groceries like filling a box or subscribing. Plus Amazon offers free 2 hour delivery in certain areas! Most grocery stores also offer online shopping now. Sometimes it’s actually better to pay the delivery fee than to go into the store and impulse buy. 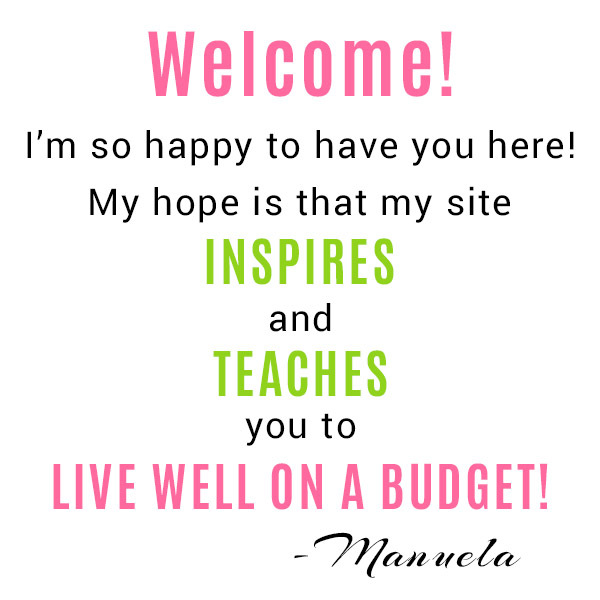 Shopping online is one way to stay within your grocery budget! Utilizing leftovers is a great way to save money and not throw it in the trash. You can use the leftovers to make completely different meals. 27. Write dates on leftovers. Writing the dates on your containers of leftovers (like these glass food storage containers) reminds you to use them up. Using the leftovers within three days is a good limit. 28. Buy whole and cut to size. Buying whole meat instead of already cut meat will save you money on groceries. For example, buy a whole chicken and cut it up yourself. 29. Keep watch as your items are scanned. Keep track of the items as they are scanned. Sometimes, the sale price doesn’t scan and you end up paying full price. 30. Bring in cash the exact amount you budgeted for food. Instead of buying pre-baked items, which cost more, bake at home. 32. Sign up for loyalty programs. 33. Have a few meatless meals a week. Try to eat at least one meatless meal a week to save money on groceries. Meat is the most expensive item on your menu, so try to only buy it when it’s on sale and limit your use. 34. Cook at home and freeze half. Cook at home and make extra so you can freeze half for later. 35. Buy at discount grocery stores. Discount stores like Aldi, Save A Lot and scratch and dent stores help you to save a lot & help your dollar go a lot further. Check the clearance aisle, you can save on items that are still good but the store has to sell quickly. Also, try to find out when certain items get marked down so you know when to check. 37. Buy on the first day of a sale. Know your store’s sales days and shop the “first day of the sales” to get what you need before it is sold out. 38. Compare items’ amounts and prices. Sometimes, it is a better deal to buy the item that costs a little more because it is the better deal when you factor in the amount. 39. Read other people’s plans for saving. 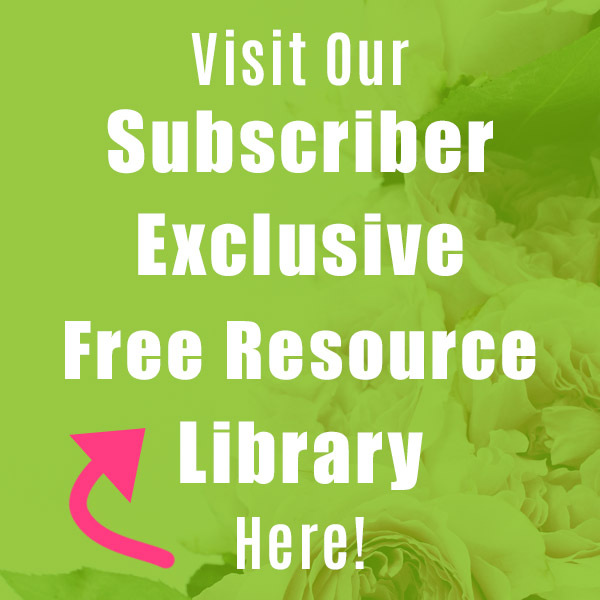 Read other people’s blogs or articles to give you encouragement that you can save money in many ways. Don’t impulse buy items that are not on your list to help save money. 41. Have a plan to get in and get out. Have a plan, know the store, and avoid the aisles of temptation. Get in and get out. 42. Check your local pharmacy stores for good deals. Because sometimes, your local pharmacies (like CVS, Walgreens, etc.) have better deals on grocery items than other stores. 43. Keep yourself accountable to someone else. Keep yourself accountable to someone like a friend, family member, or even Facebook group to stay within your budget. Try new recipes so you can buy different sale items. You don’t need to stick to the same boring recipes each week, switch it up while the items are on sale. 45. Don’t shop when you’re hungry. If you shop when you’re hungry you’re bound to impulse buy! 46. Be sure you know the promotional details. Know the promotional details, so you don’t miss out on savings. My local Kroger often has a 10 for $10 promotion or mix & match & save, but you have to know what qualifies. Sometimes stores have special promotions that apply to only certain days! Keep up with the stores you shop on social media or through their circulars so you don’t miss any special promotions. Knowing the sales is a big part of saving money on groceries. 47. Write down your goals. You are more likely to complete your savings goals if you write them down! 48. Stock up on sales items you regularly use. If an item you use a lot is on sale, stock up. 49. Buy different items instead of being in a rut. First of all, it is easy to fall into a rut of buying the same items all the time even if they aren’t on sale. Switch it up sometimes and buy the sale items instead. Don’t be afraid to try something new! 50. Don’t buy things you don’t really need. You can do without paper napkins, paper towels, etc. Replace disposable items with reusable ones. See how the Busy Budgeter saves $400 a year by replacing her paper towels with cloth. I hope these smart grocery shopping tips help you save on groceries. If you commit yourself to saving money and sticking to your budget, this will be an easy process.